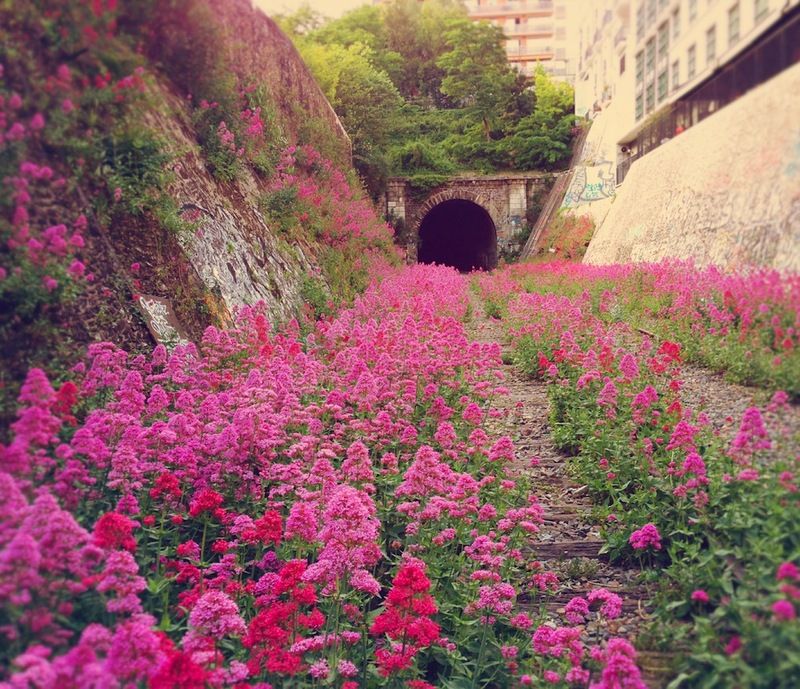 La Petite Ceinture is a surviving relic of forgotten Paris, built in 1862, closed for over 80 years. The railroad was a circular route (hence “the little belt”), connecting the main train stations of Paris within the old fortified city walls. 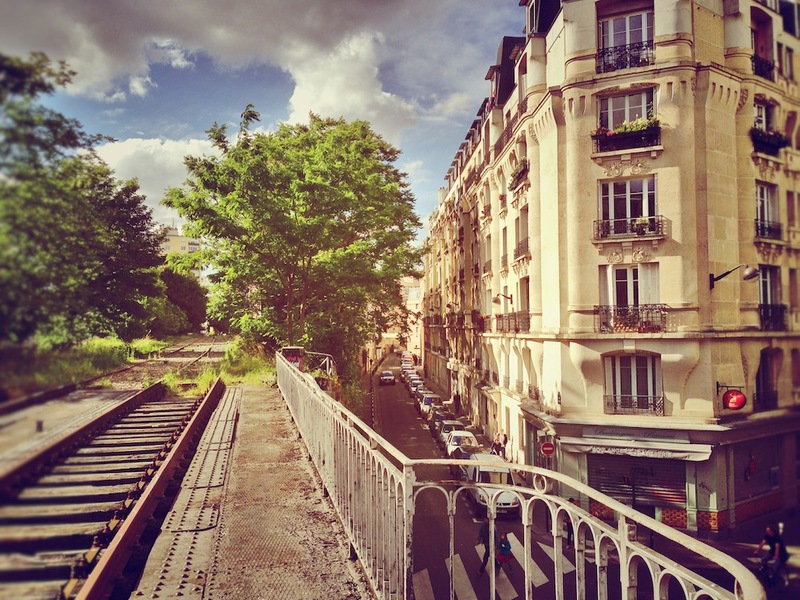 It’s a chance to see Paris from a different perspective as the railroad’s bridges peep over the boulevards every few hundred yards. The tracks run along the backs of artist ateliers which you can’t see from the street. 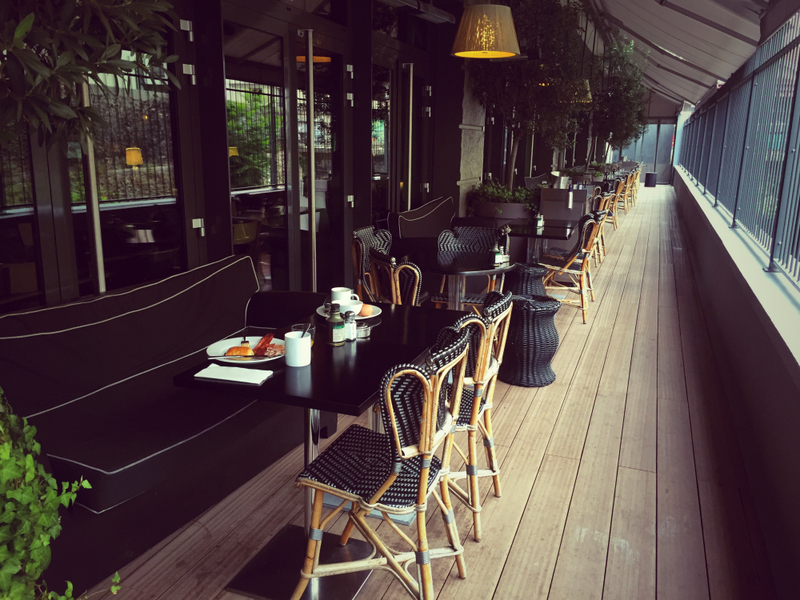 There is one unique spot in the city that gives you a front row seat to La Petite Ceinture, and that is Le Mama Shelter, a hotel built by innovative French architect Phillippe Starck, where you can have breakfast, lunch and dinner (or cocktails) on the terrace that overlooks this historic railroad. Rooms start from a very affordable €89, but more importantly, the best buffet breakfast (all-you-can-eat) brunch in Paris, available for both hotel guests and the public, will set you back just €16, and it’s open for lazy little Parisians like me, until 11am. It’s somewhere I like to make myself at home on their herd of comfortable couches, armchairs and free Wifi. It’s like my trendy morning office where waiters don’t give you bad looks for spending too much time working on your laptop. In short, it’s a home away from home (at any time of the day). 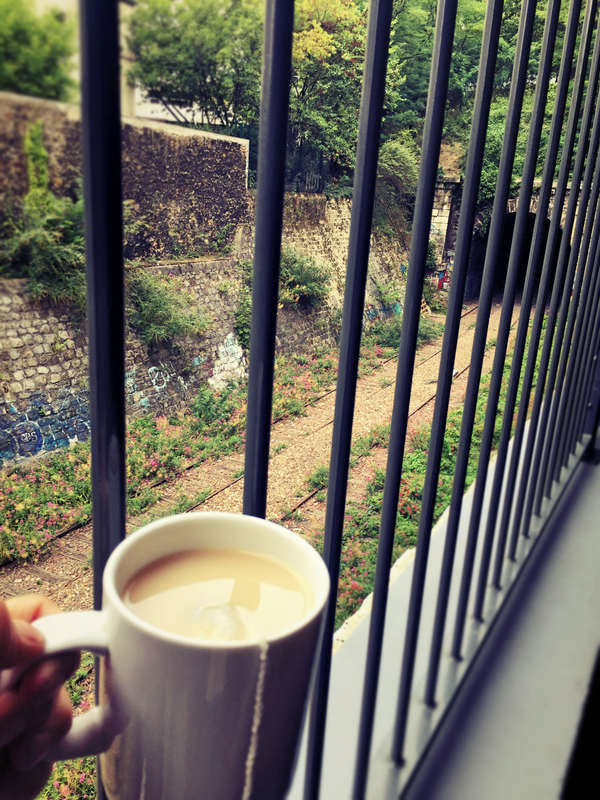 But of course, sitting on that terrace, munching away on brioche soldiers dipped in oeuf cocotte with a fresh fruit salad, overlooking those mysterious abandoned tracks, always gives me the itch to explore. So if you’re interested in taking a stroll along the Little Belt yourself, I have a little tip, that may just work on certain days to gain you access to some morning urban exploration. Upon leaving the Mama Shelter, there’s a tiny street across the road called Rue Florian. Look for the “animals” peeping over the wall (you’ll know what I mean when you see them) and you’ll see a large grey gate, which I can’t guarantee you’ll always be lucky enough to find ajar. 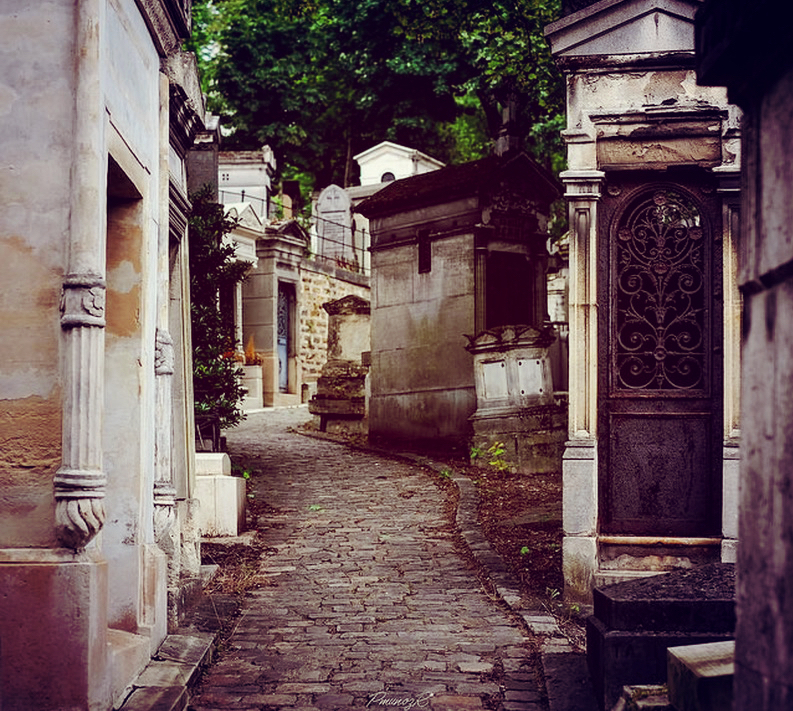 Sending you to a cemetery is probably going to sound a little odd, but then again, this is Paris. But would you believe I often recommend it to friends looking for a romantic suggestion for a first date? Yes, trust the city of romance to have made its largest cemetery not in the least bit spooky but rather, irresistibly romantic. Père Lachaise is like a miniature city of its own; all the winding pathways have their own street signs and names, and the tombs look like beautiful little Wendy houses (Jim Morrison, Edith Piaf, Oscar Wilde, Chopin, Maria Callas and Marcel Proust to name a few are all buried here). Strolling hand in hand with your other half, I guarantee you’ll start, rather bizarrely, hoping that one day you can be buried here with the love of your life. And the Père Lachaise cemetery, much like love, doesn’t cost a thing. Find the side entrance near Le Mama Shelter here. When you’ve emerged from your stroll in the city (of the dead) within the city, we should be approaching lunch time. A little walk down the hill towards Bastille takes us to one of my favourite Parisian restaurants, which I usually save for special occasions – but since Skrill has kindly loaded up my Prepaid Mastercard with €500, I think this qualifies as one. 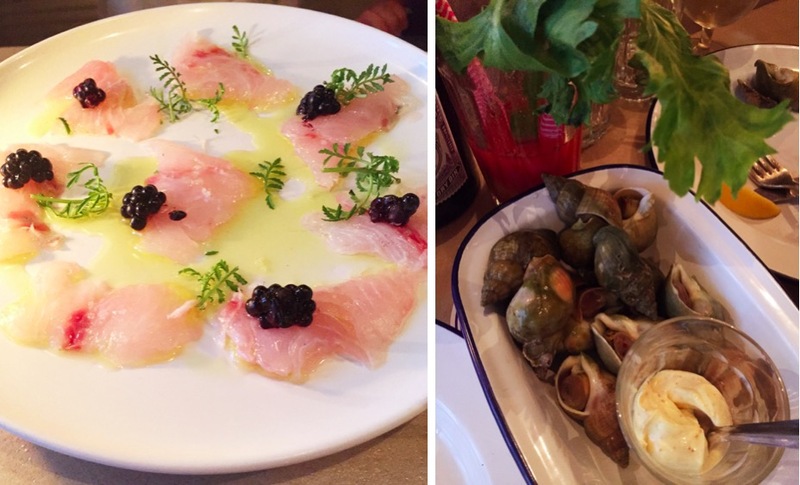 Clamato is a trendy little seafood spot with a bohemian unpretentious vibe and truly un-Parisian service – that is to say, the waiters make you feel like they’re welcoming a friend of a friend in Paris. Grab my favourite spot for two at the bar, next to the window on the left as soon as you walk in. The menu changes all the time depending on what type of seafood is in season. Now trust me, I’m the type of eater that swore off this type of stuff, but it’s the sort of place that makes trying oysters or sea snails for the first time feel as easy as eating fish and chips. Price per head including wine was €55,50 so we ended up paying €111 with the Skrill card. If you’re coming to Paris looking for the glitzy Parisian equivalent of the Rodeo Drives, Fifth Avenues and Sloane Streets of the world, turn back now, this is not the guide for you. 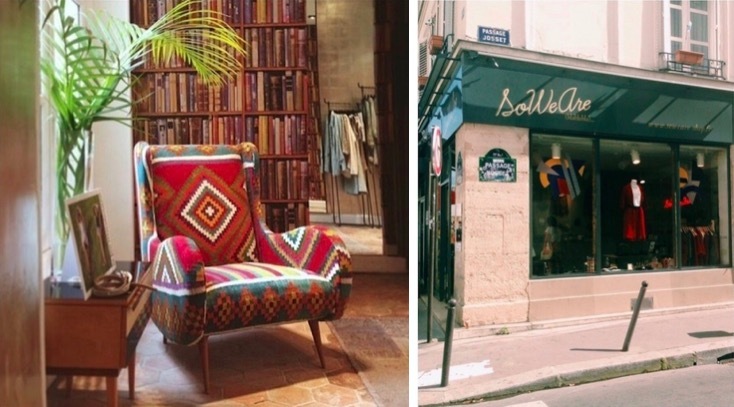 But if you’re looking for unique, chic and affordable Parisian fashion boutiques set in a charming local neighbourhood where actual Parisians really shop, then you’ve come to the right place. Hidden away behind bustling Bastille, at the beginning of Rue de Charonne, a new shopping village of fashion boutiques has been quietly emerging. 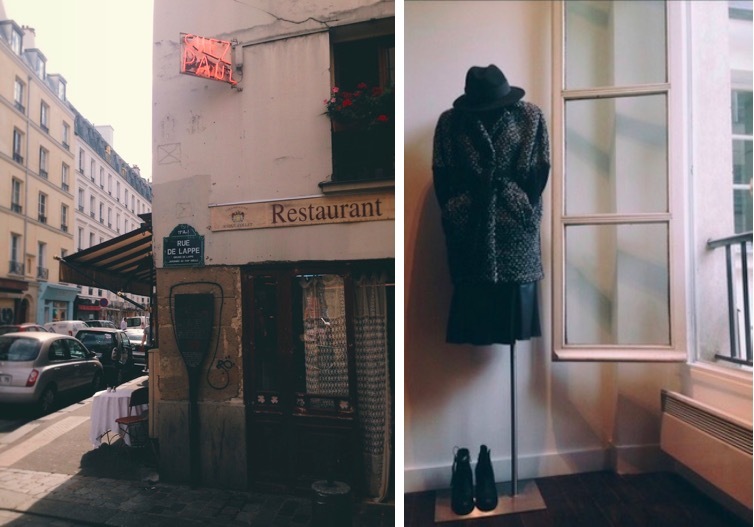 Quirky independent shops share the sidewalk with well-loved French names such as Isabel Marant and Repetto, making it a very useful address for shopping alongside friends with varied budgets. 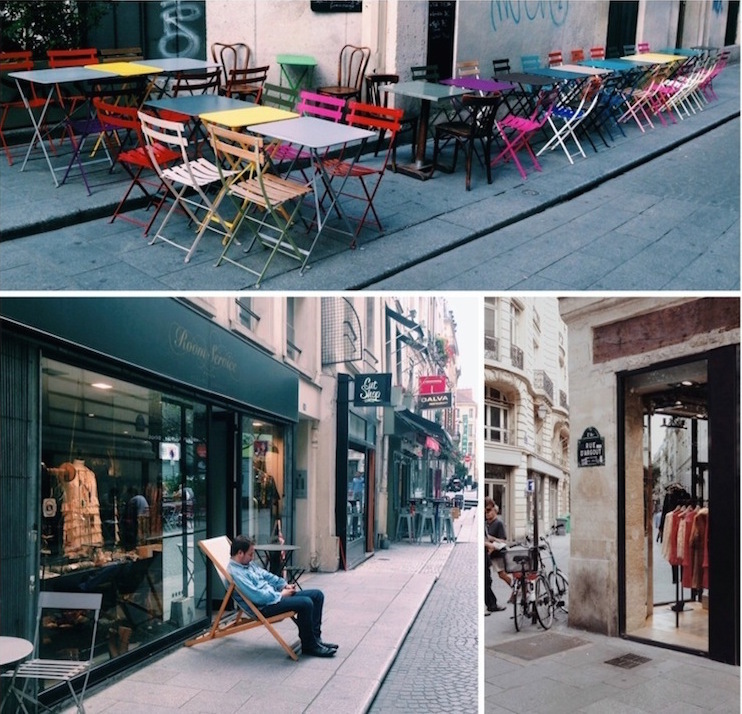 While Rue de Charonne is tailor made for an afternoon of shopping ‘avec les girlz’, the boys have staked their claim here too with several boutiques selling cool and casual wears, sturdy leathers and sartorial gear. Even little ones will find some artisanal toy shops and the latest trends in micro fashion – hence the family ambiance that spills out onto the café terraces on sunny weekends. 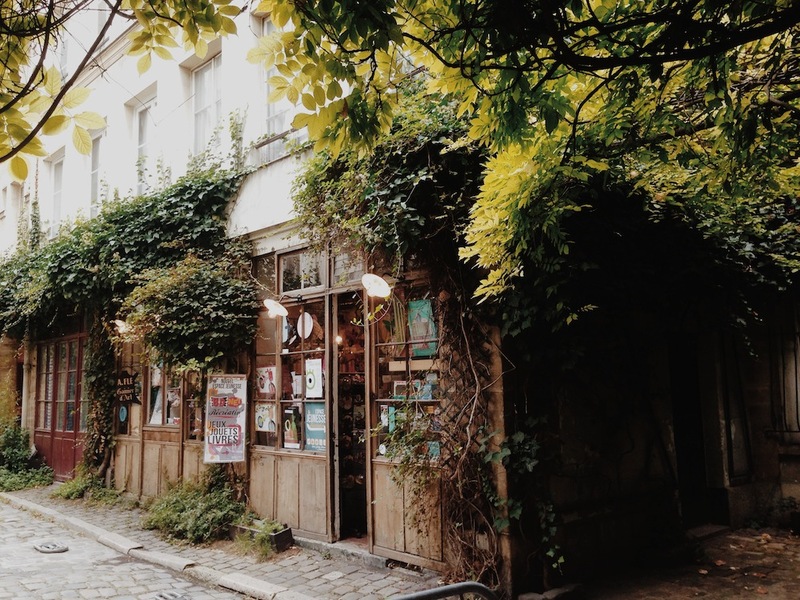 You’ll feel right at home in this off-the-beaten path shopping village in the 11th arrondissement. Boutiques not to miss: La Fée Maraboutée (the one with that fabulous armchair), So We Are, Sessùn, Les Fleurs (on Rue Trousseau, where I ended up buying an unusual Cactus Vase for 65€), The Secret Toy Shop (pictured above) on the Passage de l’Homme. L’Ecurie is my favourite place to get drunk tipsy on red wine with a good paté de campagne and Steak Frites. I imagine Hemingway would have loved it too. 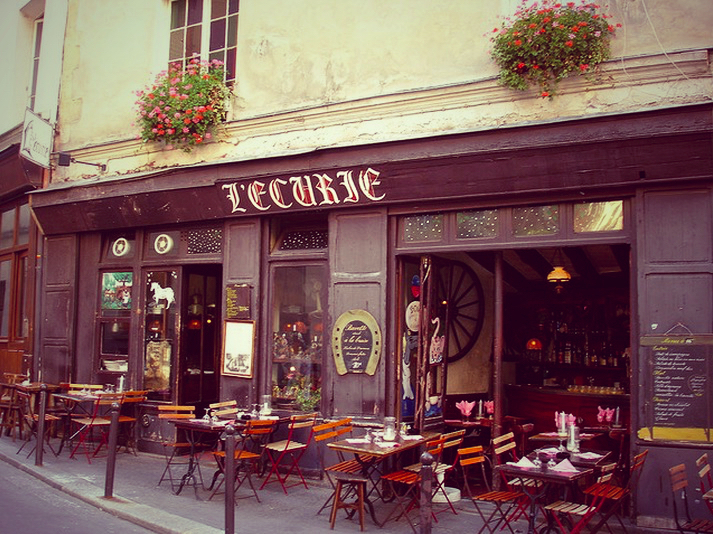 In fact, he only lived around the corner from this little eatery, a former stable on a lovely corner of Rue Montagne Saint-Geneviève – which also happens to be the same street Woody Allen filmed Midnight in Paris (just feet away from where Gil jumps in Hemingway’s car for a time travel to the 1920s). …with three courses at just €12. 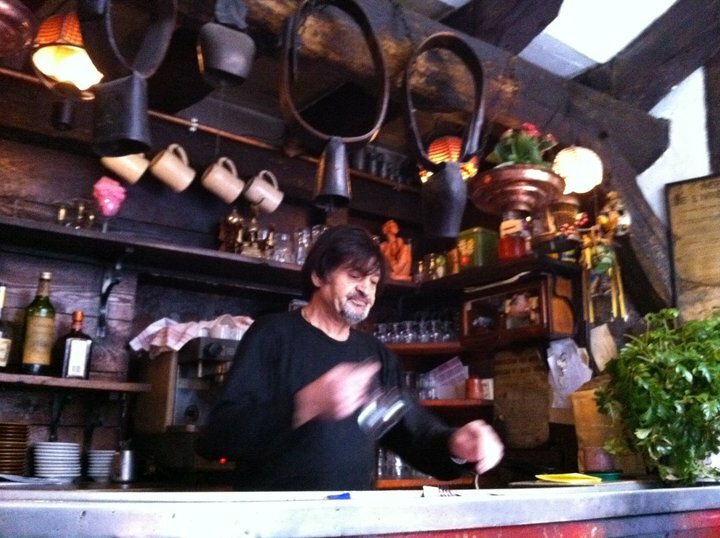 This lovable family-run restaurant has gone unchanged since god-knows when it opened, and feels like the ultimate French time capsule with cow bells hanging from the ceiling, rustic furniture and a traditional no-fuss menu. You can get a three-course meal here for an astonishing 12 euros and everything is fresh. The bartender/ only waiter is also excellent company– he’ll keep filling up your wine glass and eventually lose count himself. L’Ecurie always reminds me of Hemingway’s quote from A Moveable Feast. 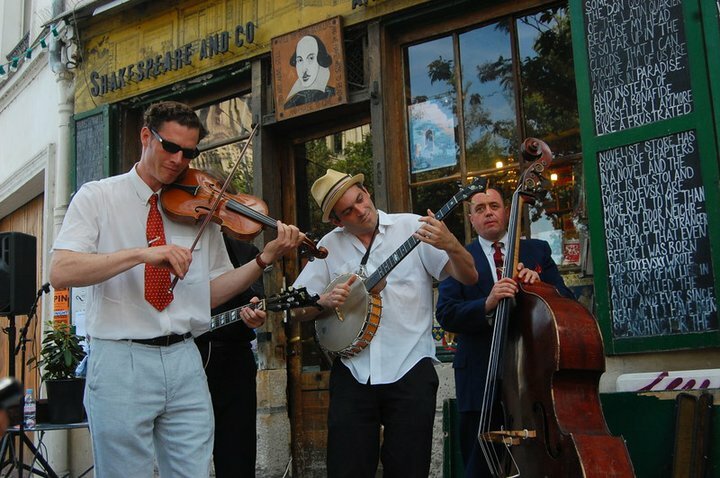 Whimsical surprises of this sort (pictured above) are the norm at Shakespeare & Company, an institution renowned for hosting illustrious writers and letting quirky strangers sleep among the bookshelves. 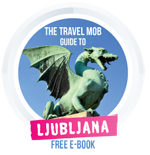 It tends to be packed with tourists during the day because of the iconic part it played shaping the “Lost Generation” (Hemingway, Fitzgerald, Stein etc), which is why I only go after dark. It’s one of the only bookstores in the city open until 11pm, where you can browse in relative peace and if you’re lucky, catch a late night book reading or a jazz gig. I spend €60 on nice coffee table books there. We begin our morning in the mosque of the 5th arrondissement, host to one of the most pleasant and unexpected cafés in Paris. Open to the public, separate to the prayer house, with winding, leafy courtyards, this is a beautiful place to sip moroccan mint tea along with traditional arabic pastries on a sunny morning. While it’s very popular, particular with Parisian families on Sunday afternoons, it’s not a place tourists are very aware of. It’s also open until midnight for tea under the stars while contemplating the fascinating history within its walls. Mint tea is €2 a pop and the waiter brought me a pastry for free because I was sitting alone. 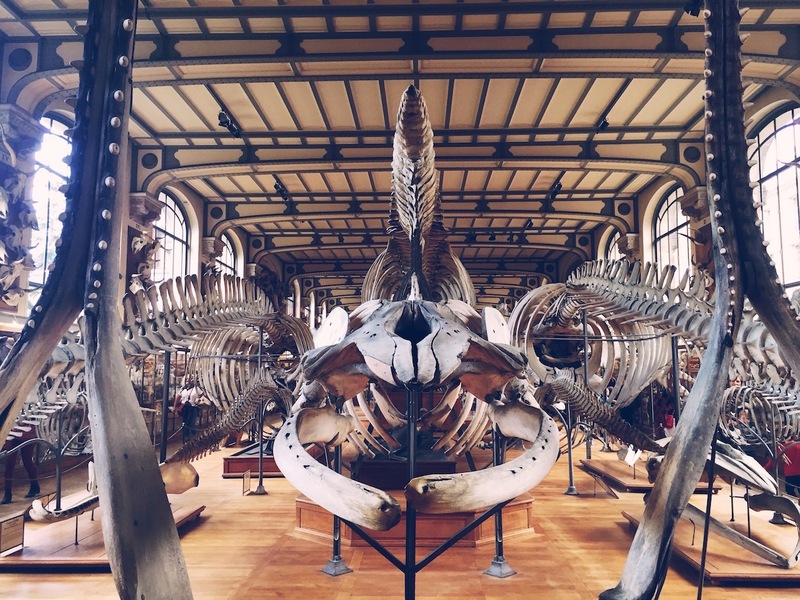 Every big city in the world has its own Natural History Museum, so what makes the one in Paris worth visiting? Well for one, there aren’t many major Natural History Museums that were abandoned for more than 25 years, closed to the public, rotting away with everything inside it until it finally re-opened in 1994. After World War II, this great museum of the colonial empire that had once dazzled the public when it first presented its zoological collections in 1889, had ironically become a public danger. With serious post-war funding issues, the building was falling apart, the electricity was old, and with one million glass jars of different species of fish being preserved in alcohol and formaldehyde, it was potentially one giant explosive cabinet of curiosities waiting to detonate. For 21 years, the museum sat in silence until museum researchers mobilised the government to intervene. Today, it’s a stunning tribute to the evolution of the natural world, whilst the building itself is half the attraction. Probably my favourite thing about this building is the staircase– don’t forget to take the stairs! 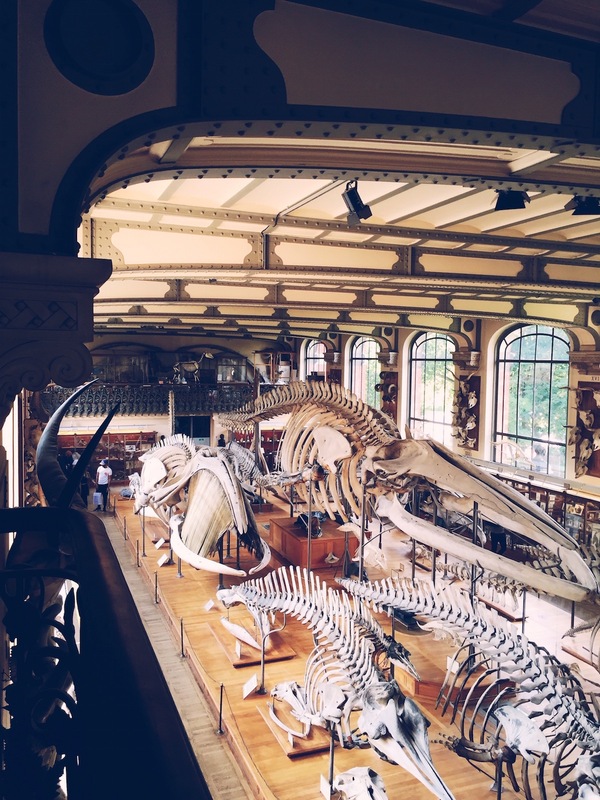 They unveil yet another layer of the building’s history when it was once the King’s own cabinet of natural history, when the Jardin des Plantes was an unparalleled scientific institution in the 1700s. Go all the way to the top floor and you’ll find yet another set of stairs that looks like it came straight out of Harry Potter’s Hogwarts, begging to be climbed. 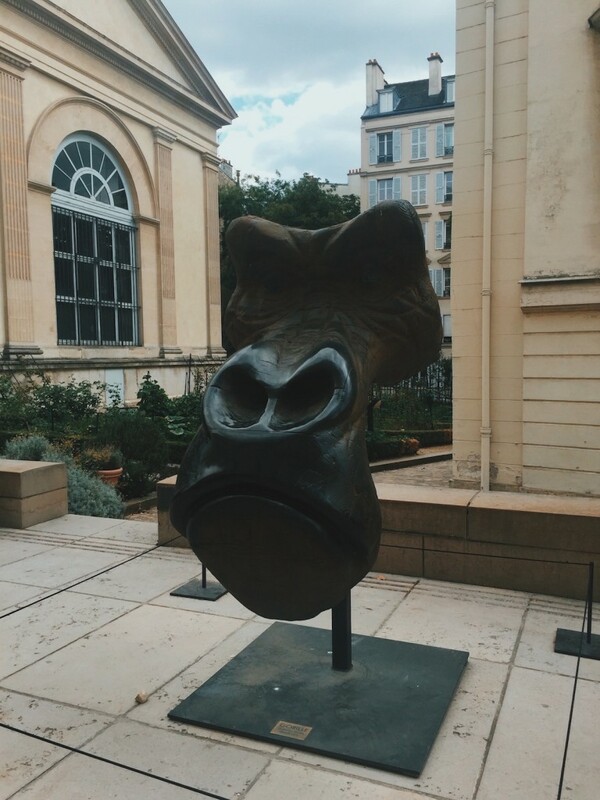 The Jardin des Plantes itself as a mid-gallery stroll is all part of the experience. You’ll find giant pumpkins and squash growing out in the open – not exactly something you’ll see in the famous Jardins des Luxembourg. You can spend an entire afternoon within its walls, jumping from the taxidermy to the greenhouses and finally to the paleontology gallery. This might sound more suited for a science class field trip, but again, you’d be terribly mistaken. This is hands down the most impressive collection of skeletons you’ll ever lay eyes upon. Noah’s ghost army are in limbo here, waiting to march back to his ark, two by two. The paleontology gallery however is one of the parts of the Natural History Museum which escaped renovation in the 1990s. My guess is this building has not been renovated in over a hundred years – and I don’t mind it one bit. The walls are peeling and the floorboards are creaking. The paper labels in the cabinets are yellowed from age and the calligraphy is of another time. You can peek up to the old archives on the top floor and see books covered in dust behind old glass bookcases. I like a museum that’s accidentally just as interesting as the things it has on display. 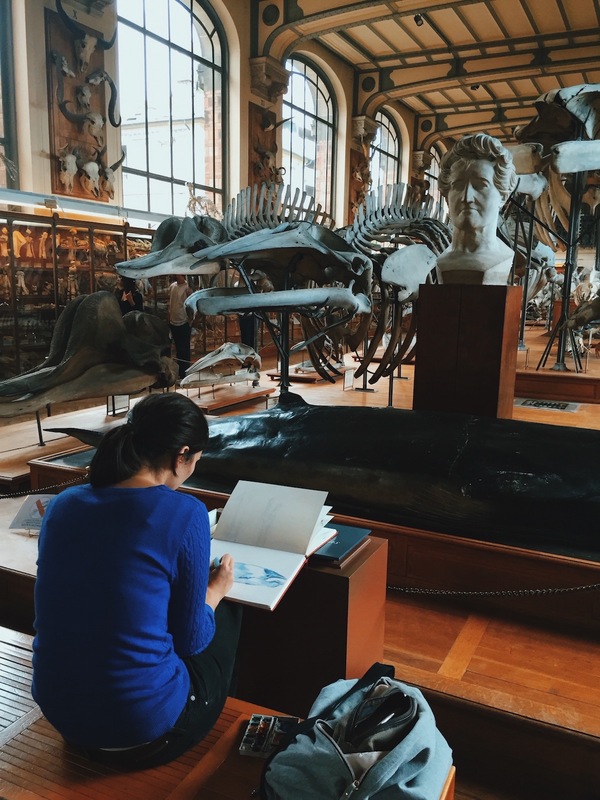 Visit the Muséum National d’Histoire Naturelle at the Jardin des Plantes, 57 Rue Cuvier, 75005 Paris. No queues. 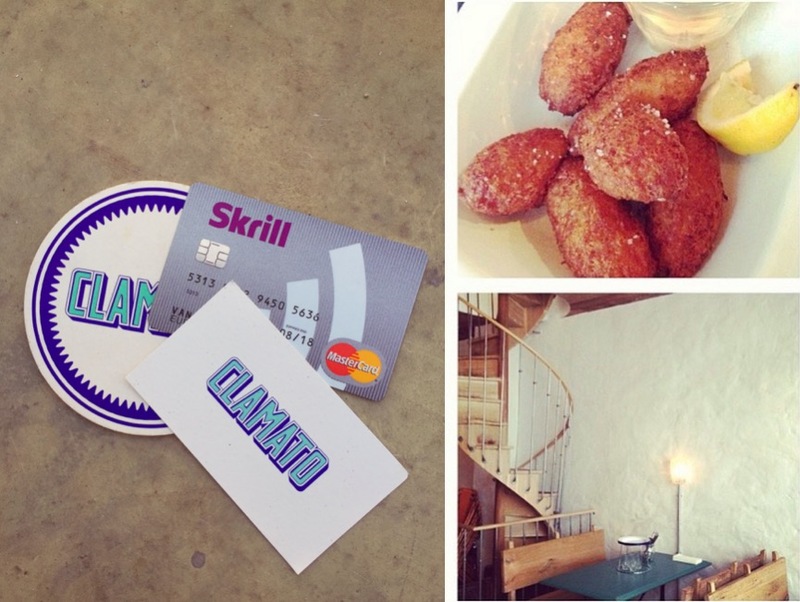 We spent €28 on tickets with the Skrill card. Sounds a little too risqué for lunchtime? Good. This is Paris, and no one ever said Paris was going to be boring. We find ourselves at Hero, one of the newest additions to the off-beat foodie scene in the city, from a talented group of restauranteurs that brought us the first modern speakeasy bars and hip eateries catering to what I like to consider the new “lost generation” of Paris. This asian fusion spot is so cool it hurts. The décor is urban but pastel; kitschy yet sleek. Oh – and the food. Get stuck into the starters: Korean fried chicken buns, sticky ravioli with ragout of mushrooms and purée of soft tofu. And do not, I repeat, do not, leave without trying one of their Absinthe bubble tea cocktails. It was definitely worth the €59,50 spent for two! When someone asks me if there’s any other city I’d rather live in that Paris, my answer is L.A. And while the ocean might be miles away from Paris, but there’s something very “Venice Beach” about the quartier of Etienne Marcel. With a laid-back vibe and a distinct LA style, there seems to be a Little California budding in this corner of Paris. But you don’t come to Etienne Marcel without navigating your way through the pedestrian cobblestones streets to find the Rue Tiquetonne. 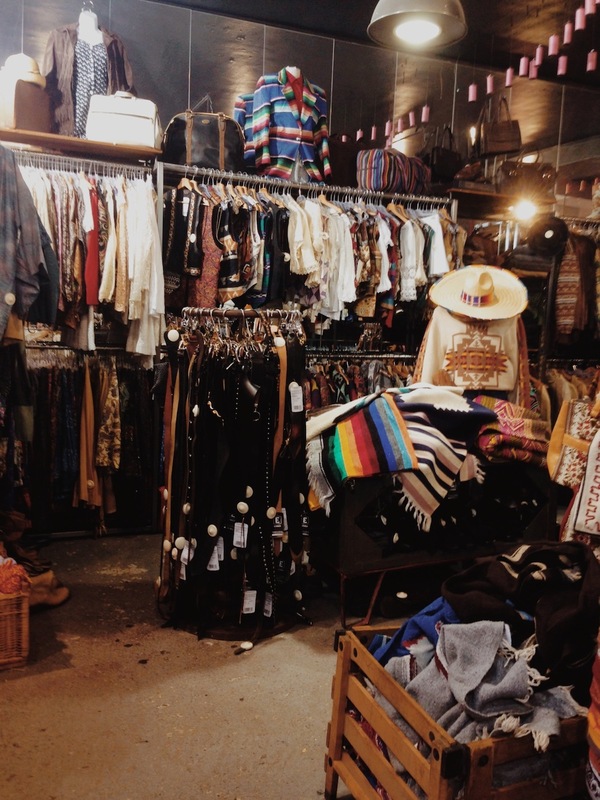 Vintage havens, skating gear concept stores, street art,and all things that a Frenchy with a taste for L.A. might need for a happy day of retail therapy, you’ll find on Rue Tiquetonne. Paid €5 for a nice vintage handkerchief. 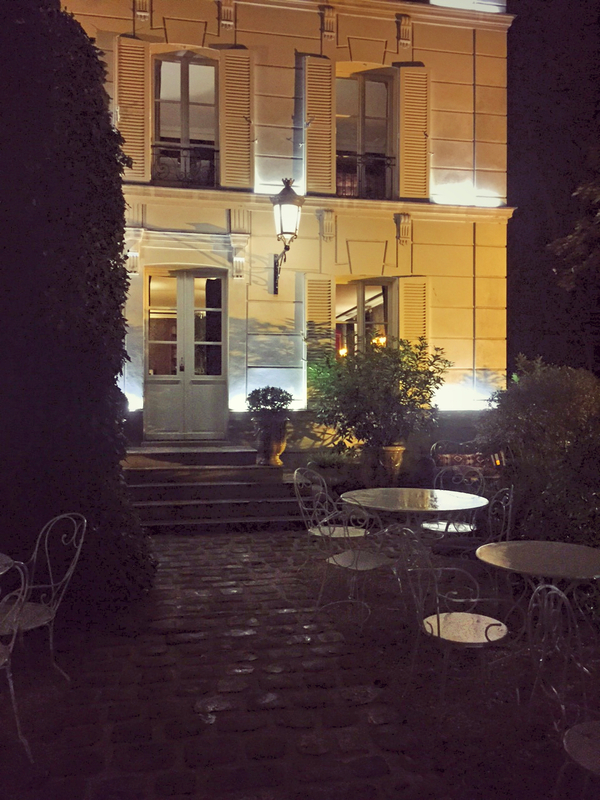 On a leafy avenue in Montmartre, inside the former villa of the Hermès family at the top of a secret stairway, is Hotel Particulier de Montmartre. To get in, you need to ring at two intercoms and walk through a private alley (no reservation needed). 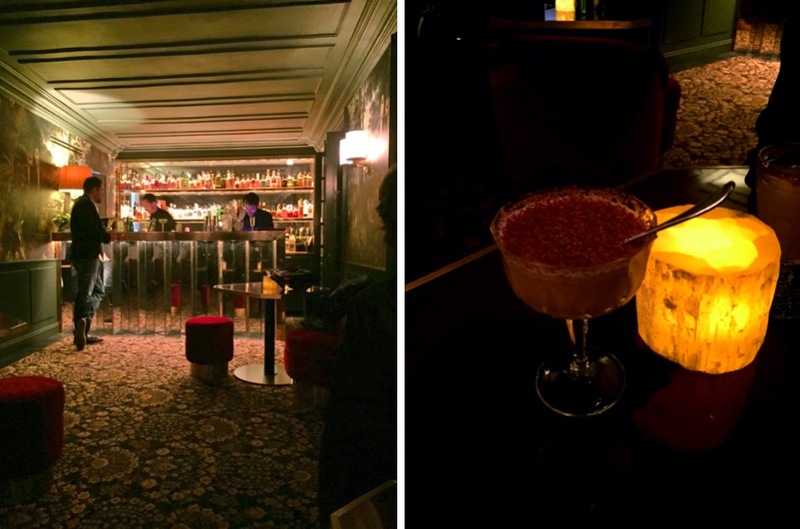 This historical townhouse mansion turned hotel has its very own private bar appropriately named, Le Très Particulier. Drinks aren’t cheap but any cocktail enthusiast will verify that they’re worth every penny. If Wes Anderson’s characters came to life, I could imagine them all gathering here for dirty Martinis and retiring to their rooms in the early hours of the morning. Which is pretty much what I did, spending the last the my Skrill money on four cocktails for €55. Nessy would like to thank Skrill online payment system for kindly sending her one of their Skrill Prepaid Mastercards, topped up with €500. The card is a handy travel companion which you can top up to match your holiday budget and use as a Mastercard in 36 million outlets worldwide, with low FX and ATM fees. For more info on both Skrill and their Prepaid Mastercards head to their website. Meanwhile don’t forget to check out the other Holiday Like A Local posts on Urban Travel Blog, where our bloggers share their Barcelona travel tips, Rome local secrets and insider London itineraries. 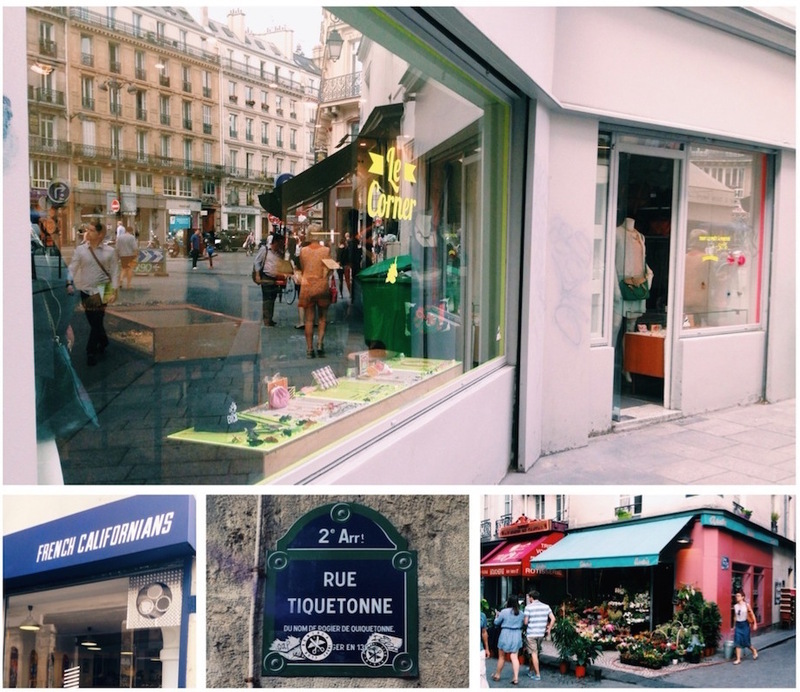 And if you’re coming to Paris then be sure to check our our city break guide to the French capital. Raised in London, Nessy moved to Paris to discover the land of her ancestry and immediately fell in love with its Gallic foibles. 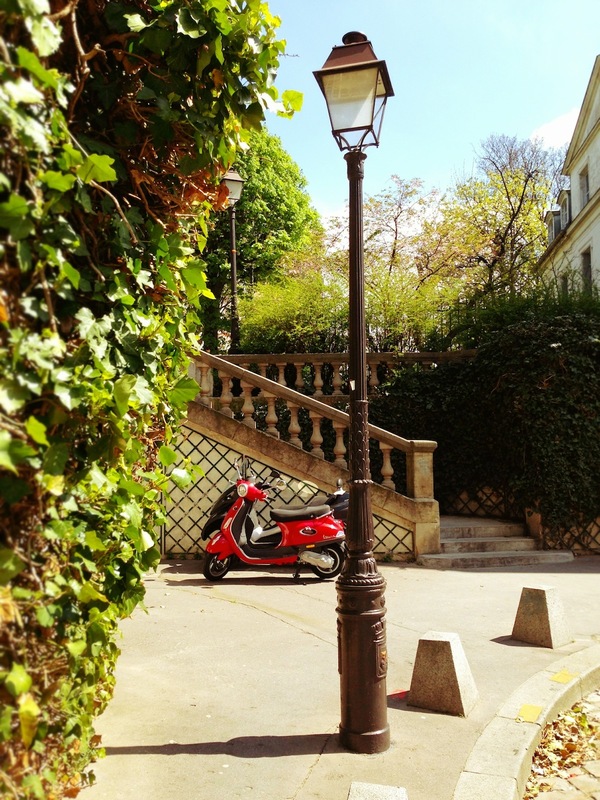 Find more of her secret Parisian tips - plus random eccentricities from the web - on her blog.